Lori Lightfoot clinches a landslide victory to end Chicago's Rahm Emmanuel nightmare. Lori Lightfoot's passage to the seat in Chicago's civic tower didn't come without her breaking a sweat and a ton coincide with the adversity she withstood as a self-identifying lesbian. Lori Lightfoot learned her wiles during a storied career as a federal prosecutor before turning her attention to municipal politics. The locality she chose to represent happens to be one the most in need of reforms in America. Lori Lightfoot's swallowed the competition whole, riding her electoral platform to a whopping 73.7 percentage in the polls, nearly 25 % of the voter's share split amongst a host of runner ups. "Thank you, Chicago. From the bottom of my heart, thank you," Lightfoot said to a crowd of her closest supporters, right as her victory was announced official over the local airwaves. "Today, you did more than make history. You created a movement for change. When we started this journey 11 months ago, nobody gave us much of a chance. We were up against powerful interests, a powerful machine, and a powerful Mayor." 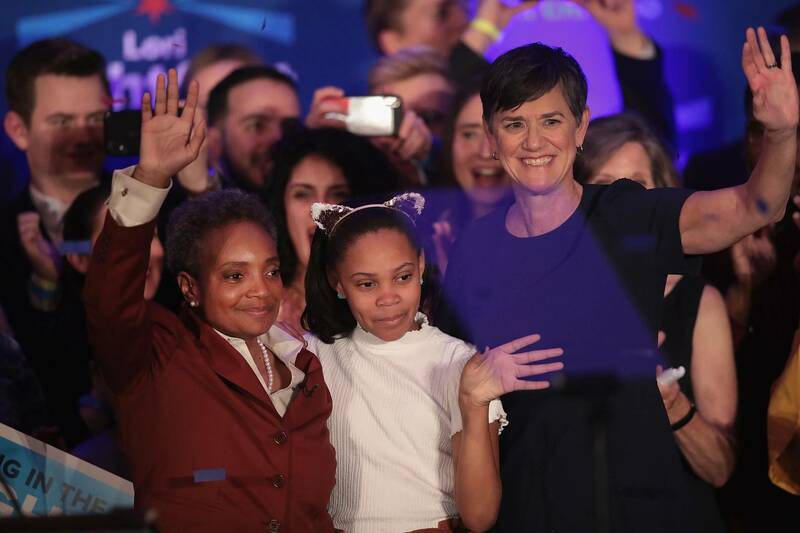 The victory makes Lori Lightfoot the first openly gay Black woman to hold office in the historically important city of Chicago. Most of all, Lightfoot was happy to usher in a new era of prosperity, without the unchained melodies of a certain Mayor Rahm Emmanuel fogging up the windows. A small minority of publicly-elected officials would happily put their legacy on the line if it meant effecting change in their hometown. Let's hope Lightfoot is one of the good eggs. All the power to her.